Staff is very friendly and kind. Furniture is very nice. WiFi is good. Room and other facilities was very clean. They offer breakfast. Visited with my wife and two teenage daughters last Saturday and Sunday. Christo greeted me and my family upon arrival with a smile, gave us the keys right away and escorted us to our room. Christo also told us where to have a late lunch down by the beach at the Valtos Beach Hotel and about a great beach outside of town called Sarakiniko that we visisted the next day. The owner Daphne was at breakfast the next morning and couldn’t have been nicer serving us her buffet breakfast with some of her delicious homemade jams, cookies and loukoumades. Rooms were clean and hotel was quiet. Overall a great experience. Would definitely stay again. The staff and the owner were great. People persons. Very clean, they changed the towels and the bed sheets during our stay. Totally recommended. We spent a beautiful holiday due to the amazing personal of the Ideal House. We had a cozy and very clean apartament. The breakfeast was very fresh and diverse. The location of the hotel is in a very quiet place with olive and lemon trees. So, we spent here the most authentic Greek holiday!Thank you, Ideal House! The staff and owener were very friendly. The apartment was very clean and spacious, there is a kitchen but we didn't use it. The bed was comfortable. Breakfest was very good and varied. Valtos beach is just about 10 minutes walk from the hotel. Location was ok. Breakfast was good. Bed was better. Staff was very friendly. And the garden was pretty. Breakfast was really good with lots of choice. Staff were friendly and helpful. The room was very clean, good size and very practical. Lock in a great price for Ideal House – rated 9 by recent guests! 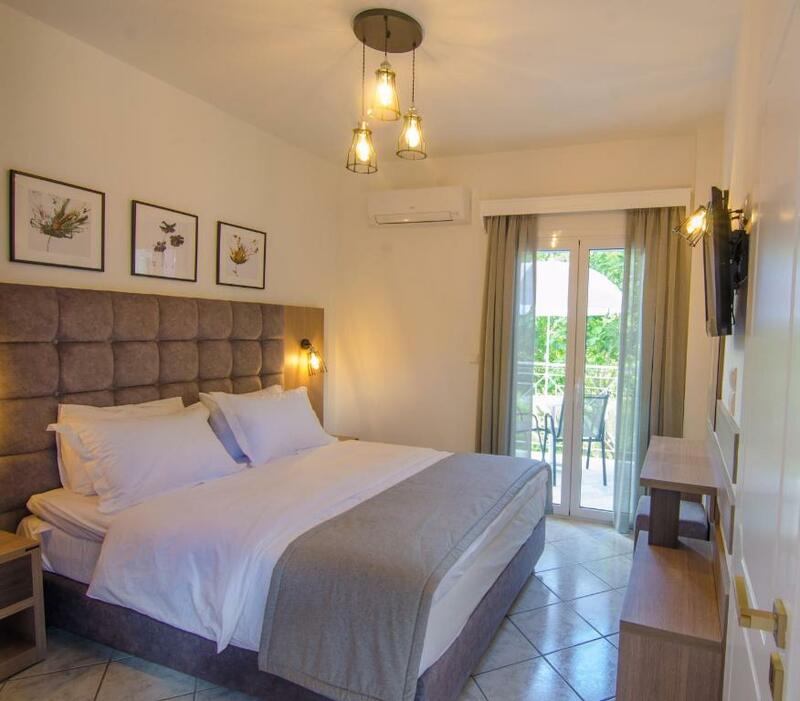 One of our top picks in Parga.Located in a peaceful area and surrounded by gardens, Ideal House is 1,300 feet from the beach of Valtos. 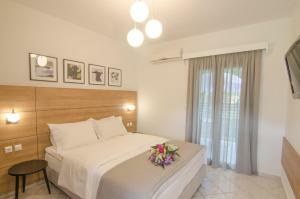 It offers a swimming pool as well as air-conditioned studios and apartments with fully equipped kitchen. 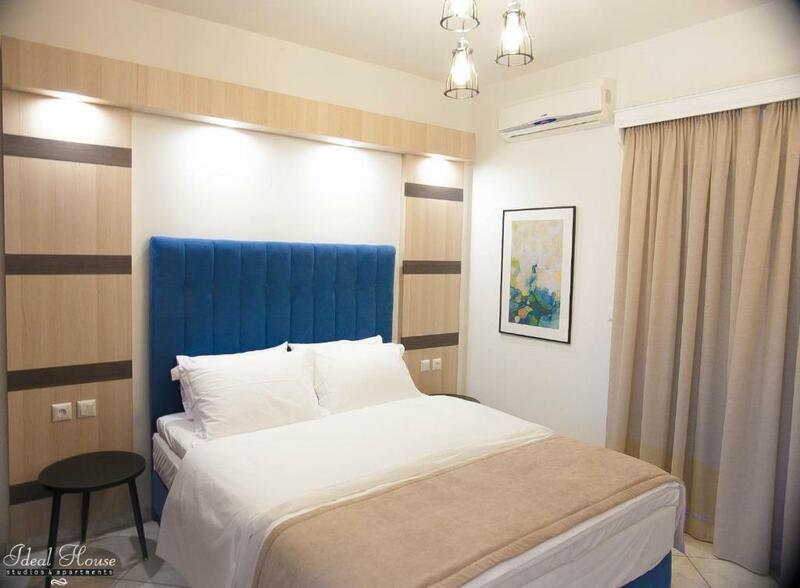 The Ideal House’s well-furnished rooms come with tea-and-coffee-making amenities, fridge and kitchen with dining area. They all feature furnished balconies with garden views. Staff at the Ideal’s front desk offer travel information and may assist with ticket service. The cosmopolitan town of Parga is easily reached at 0.6 mi. 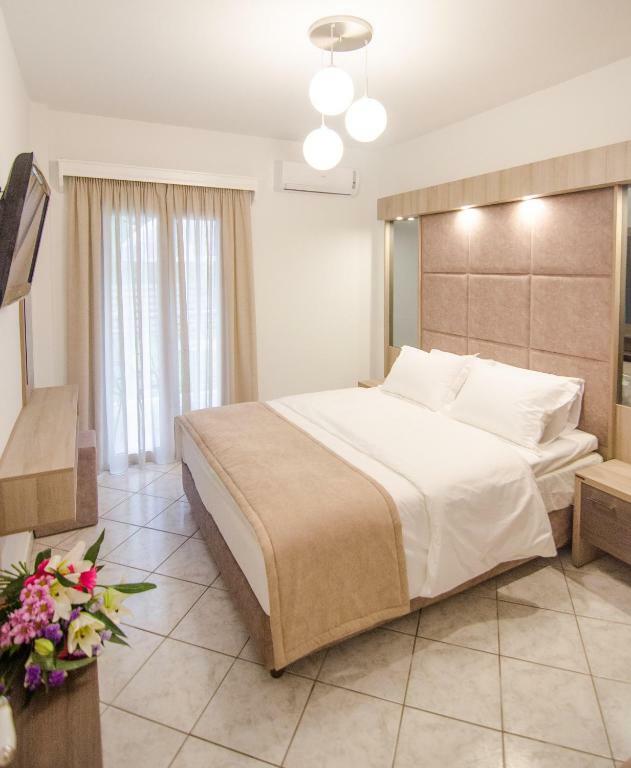 뀐 Located in the top-rated area in Parga, this property has an excellent location score of 8.3! 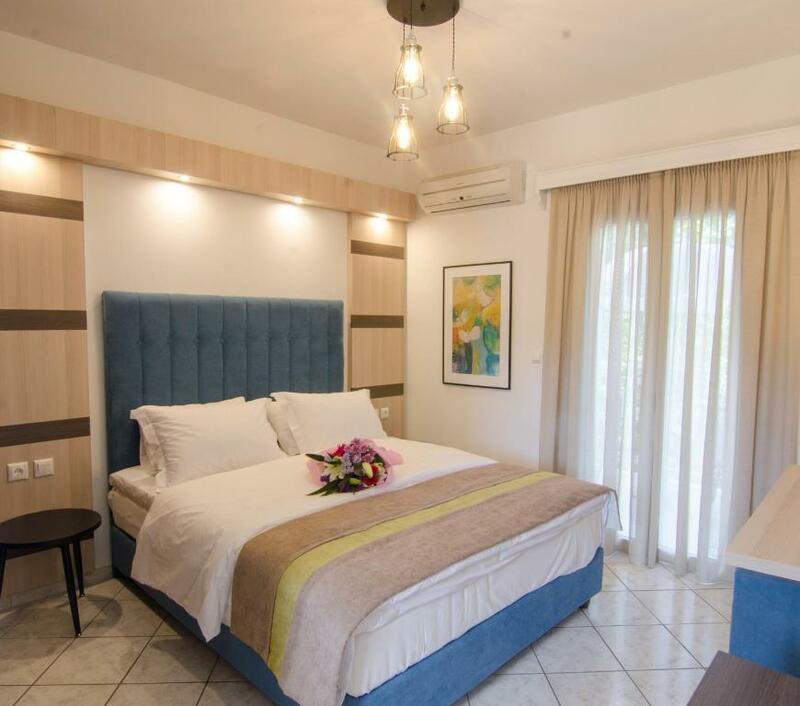 When would you like to stay at Ideal House? 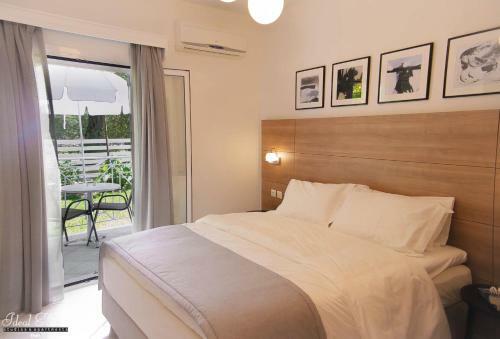 This air-conditioned studio has garden views, and a bed fitted with a Coco-mat mattress. Guests are welcomed with homemade liquor and sweets upon arrival. Depending on the availability, it can be located from ground to 3rd floor. 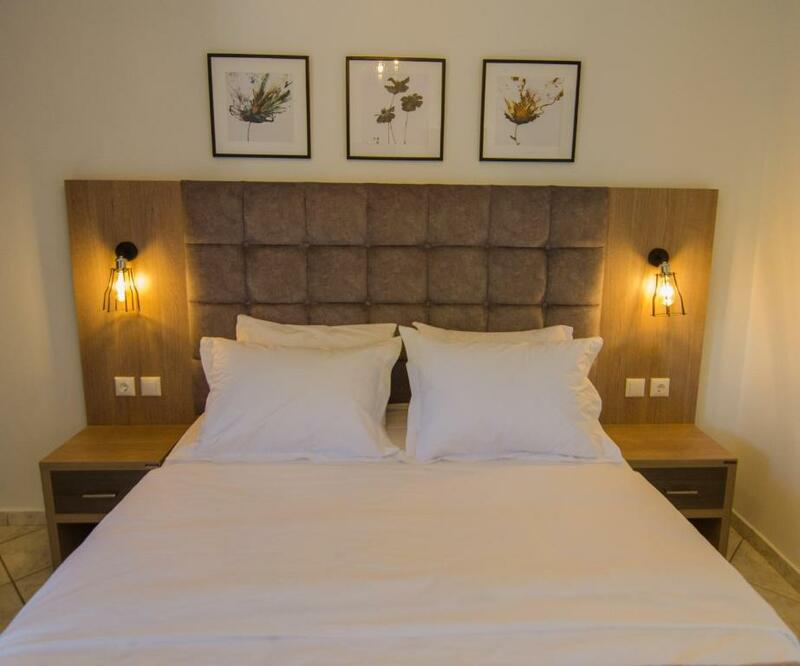 Spacious, two-bedroom apartments, with beds with and a bed fitted with a Coco-mat mattress, and an private bathroom with hairdryer. 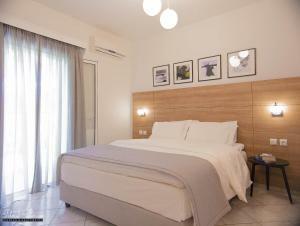 Air-conditioned studio with well-equipped kitchen and a furnished balcony with garden view . Offers tea-and-coffee-making facilities, fridge and dining area. 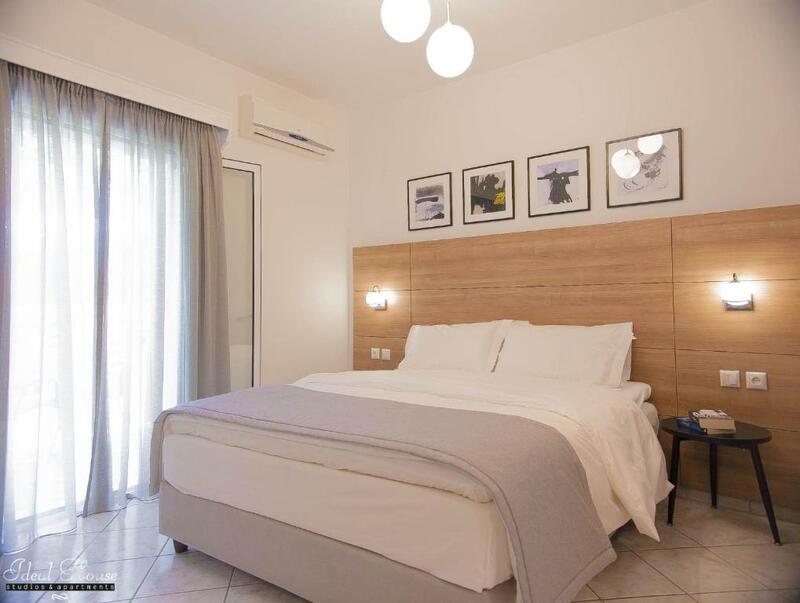 Air-conditioned apartment with 2 separate bedrooms, well-equipped kitchen and a furnished balcony with garden view . Offers tea-and-coffee-making facilities, fridge and dining area. 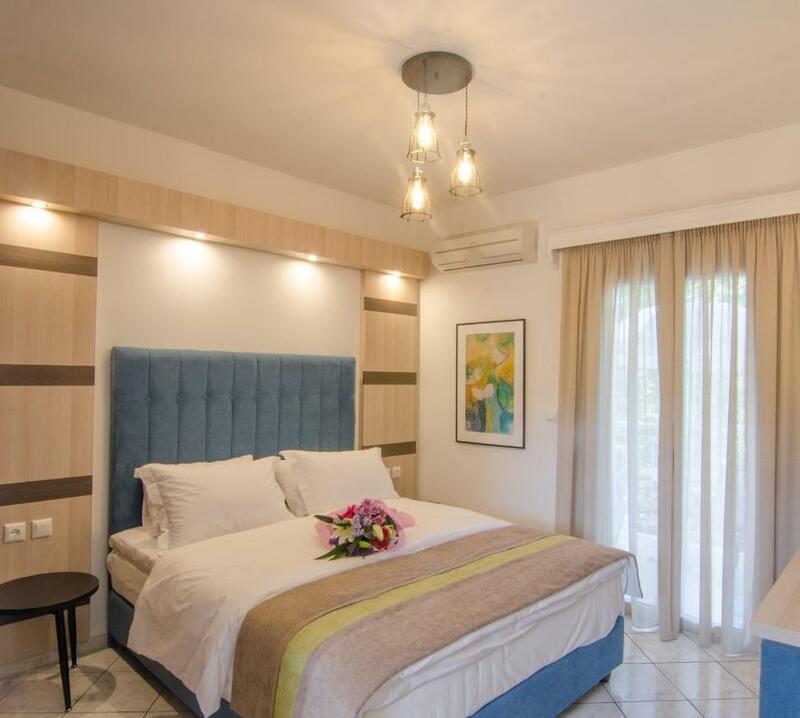 Situated in a peaceful area and surrounded by gardens, Ideal House is 400 metres from the beach of Valtos. It offers air-conditioned studios and apartments with fully equipped kitchen. House Rules Ideal House takes special requests – add in the next step! Ideal House accepts these cards and reserves the right to temporarily hold an amount prior to arrival. Please inform Ideal House of your expected arrival time in advance. You can use the Special Requests box when booking, or contact the property directly using the contact details in your confirmation. The breakfast was o.k. Rom was very clean. We were 4 people i 2 rooms apartment. There is no privacy in our apartment because two bedrooms where connected, and if you like to go to the toilet or kitchen you need first to pass the other bedroom. Same for other bedrrom, if they like to go to balcony they need to pass other bedroom. Plastic curtain in the shower is not good, it would be better if there was a shower cabin. City center and promenade are located in the next bay take that in mind. While on the map it gives you the impression is very close to the sea, its was actually a bit far from the sea and the town center, so you will need a car to move around. The closet and some furniture in the room were too old and smell bad. While the bed and some other areas of the room were brand new. Very comfortable matress and good breakfast with really friendly stuff. Bath needs renovation. So does the kitchen in the room. Half of the room is what you expect. The other half needs renovation. Did not have water to take a shower at the 3rd floor, had to wait like half an hour for the water to come, it was probably not enough for everybody. The breakfast is good, contains some homemade omlette and pastries, jams, but could be better though, it needs improvement in the "salami and ham", and coffee areas. It also starts a little bit later than expected, at 8:30, which can mess up your plans if you want to go to Corfu or any other trip outside Parga, or maybe if you want to leave early in the morning.